Doug Ross @ Journal: RED ALERT: Did anti-Obama campaign contributions dictate which Chrysler dealers were shuttered? RED ALERT: Did anti-Obama campaign contributions dictate which Chrysler dealers were shuttered? 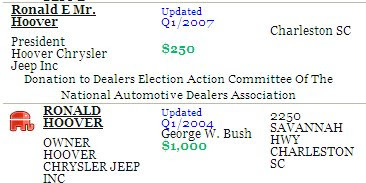 5/27/2009 Update 19:26 ET: Click here for the latest Dealergate post, which shows statistical evidence that Chrysler dealers were shuttered on partisan grounds. Late night updates from Joey Smith and Thomas Lamb: Large Democrat Donor groups not only remain open in all locations, but have their competition eliminated... and/or can purchase for pennies on the dollar. Stay tuned. More data crunching is underway. A tipster alerted me to an interesting assertion. A cursory review by that person showed that many of the Chrysler dealers on the closing list were heavy Republican donors. However, I also found additional research online at Scribd (author unknown), which also appears to point to a highly partisan decision-making process. • Wallace D. Alley and Family: $4,500 to GOP. • Robert Archer: $4,600 to GOP and conservative causes. • Homer S. Higginbotham and Family: $2950 to GOP. • James Auffenberg and Family: $28,000 to GOP; $6,000 to one Democrat candidate. 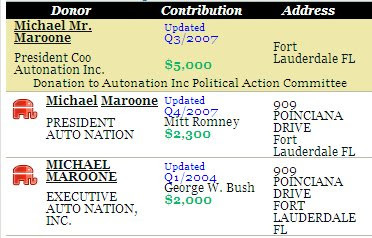 • Michael Maroone and Family: $60,000 to GOP; $8,500 to two Democrat candidates. • Jerome Fader: $6,500 to Democrats; $2,500 to Independent Joe Lieberman. • Stephen Fay and Family: $13,500 to GOP. • William Numrich: $20,000 to GOP. • Robert Carver: $10,000 to Democrats including $1,950 to Hillary Clinton, nothing to Barack Obama. • Robert and Linda Rohrman: $24,000 to GOP. • Frank Boucher, Jr. and Family: $18,000 to GOP, $1,000 to one Democrat candidate. 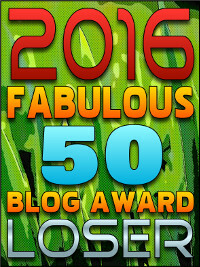 • Scott Bossier: $4,300 to GOP. • Todd Reardon: $17,000 to GOP; $2,000 to one Democrat candidate. • Russ Darrow and Family: $78,000 to GOP. • Bradford Deery and Family: $24,700 to GOP. • Charles Gabus and Family: $30,000 to GOP. • Brian Smith: $15,500 to GOP. • Michael Schlossman: $14,000 to GOP; $14,000 to three Democrats ($12,500 to Sen. Russ Feingold). • Don Hill: $11,000 to GOP; $12,800 to conservative incumbent Rep. Heath Shuler. • Don Miller: $2,000 to GOP; $1,000 to Feingold. • Eddie Cordes: $2,150 to GOP. • Robert Edwards: $1,100 to GOP. • James Crowley: $19,100 to GOP. • Stanley Graff: $2,200 to John Edwards (2008 Presidential Run); $500 to GOP. • John Stewart: $10,500 to GOP. 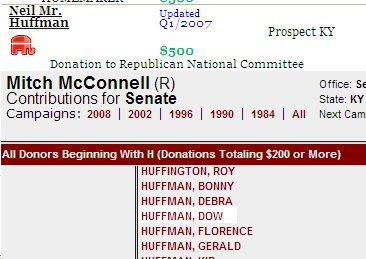 • John Fitzgerald and Family: $4,600 to John McCain (2008); $2,000 to Hillary Clinton (2008); nothing to Barack Obama. • William Churchill and Family: $3,500 to GOP. • Thomas Ganley: $9.450 to GOP. • Gary Miller: $20,000 to GOP. • Kevin and Gene Beltz: $18,500 to GOP. • Arthur Grayson: $14,000 to GOP. • Eric Grubbs and Family: $26,000 to GOP. • Michael Leep and Family: $19,500 to GOP; $4,800 to three Democrats including Sen. Evan Bayh. • Harry Green, Jr.: $10,000 to GOP. • Ronald Hoover: $5,250 to GOP. • Ray Huffines and Family: $18,500 to GOP. • John O. Stevenson: $1,500 to GOP. • James Marsh: $8,200 to GOP. • Max Pearson and Family: $112,000 to GOP. Chrysler claimed that its formula for determining whether a dealership should close or not included "sales volume, customer service scores, local market share and average household income in the immediate area." In fact, there may have been other criteria involved: politics may have played a part. If this data can be validated, it would appear to be further proof that the Obama administration is willing to step over any line to advance its agenda. It bodes poorly for America and the rule of law. As an employee of one of the affected dealerships... First, this isn't just Chrysler's decision. They were forced into bankruptcy by President Obama. When Chrysler emerges from bankruptcy the Federal Government will be a junior partner in the new Chrysler. This is SOCIALISM! Wake up people! This isn't about business it's about politics and control. My dealership is in the top 125 out of the 3500 plus dealerships nationwide...yet we are on the list. We are not small nor are we rural. We are in a large major metropolitan area. 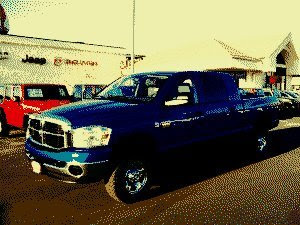 Our new vehicle inventory alone is well over $4.0 million. Is that small? Secondly, Chrysler is already "shopping" for dealers to take over the open "points" (another name for franchise) left by the closed dealerships. Again, you think this is just business. Lastly, and more importantly, every state has franchise law in affect that protect companies from this very thing - being forced out of business under the cloak of bankruptcy with out the benefit of due process. This is illegal! This is so much more than "just business". This is about control and power by our present administration in Washington. An administration that will stop at nothing to bring complete Socialism to this once great country. Wake up people or get in line now to "drink the Kool-Aid". "I've been around this forever, and there's no rhyme or reason," Fred Barber, owner of Barber Brothers Motors in Spanish Fork, said Thursday. ...Why were Barber's Chrysler dealership and nine others from Utah among the 789 dealerships nationwide singled out by Chrysler LLC, in bankruptcy-court filings, to be eliminated by June 9? Was there any rhyme or reason to why certain dealerships were selected and others not? What's next for the targeted dealerships, and what will be the ripple effects? "This is as close to socialism as I've seen — we've got the government running the automotive industry," he added. Jim Lunt, vice president of Lunt Motor Co. in Cedar City, said employees at his Main Street dealership are anxious, while the owners feel "abandoned." "It's like they chopped out your legs," Lunt said. "We haven't looked at other manufacturers. We've stuck with Chrysler through thick and thin. 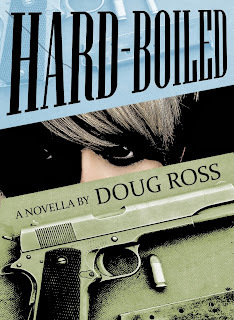 You kind of feel like you've been thrown overboard." Michael Bernstein, an attorney with Arnold & Porter who represents the Chrysler National Dealer Council, said the dealers may offer a number of objections to the plan in U.S. bankruptcy court, and that the case will enter some uncharted legal territory. ...Bernstein said under bankruptcy law Chrysler would have to show how its "reasonable exercise of business judgment" led to the closing list. While the company cited a bevy of standards by which it chose dealerships, Bernstein said it was noteworthy that Chrysler didn't cite costs. "There's no cost to Chrysler associated with dealers. Dealers are a source of revenue," Bernstein said. "A lot of people were surprised by the number of dealers Chrysler is proposing to reject..."
Update IV: For those who want to do a deeper dive, here are the lists of both sets of dealers: those who are being shuttered and those who remain open. I have not had time to investigate the latter list, but welcome any help! Please email me with with any conclusions, even preliminary ones, which you can draw from this data. Update V: Rick Moran observes, "Kind of puts George Joseph's letter we published a while back in a different light, doesn't it? Maybe it's not so mysterious a turn of events after all." Update VI: Red State adds more anecdotal evidence. Does Obama have a car dealer enemies list? ...There were too many things about the selection of dealerships to be closed that just didn’t add up. Some of the dealers chosen to be terminated were among the more successful outlets in the Chrysler dealership network, and many of them had been loyal Chrysler and Dodge agents who had maintained an excellent working relationship with the Detroit automaker for decades. ...I have not analyzed the data from the dealerships that will remain open, but I have looked at all the dealers in the Little Rock, Las Vegas, and Joplin, Missouri areas. It appears that the dealers that are closing in these areas have not donated money to Democrats while the ones that remain open have donated to Democrats in the past. Update VIII: Reliapundit points us to a Reuters article that would seem to confirm the political nature of the closings. Update IX: Joey Smith reported tonight that a Democratic donor group in the Midwest and South will not have to close any of their Chrysler dealerships... and their competition was gutted. ...So far, RLJ-McCarty-Landers will have 8 competing dealerships total[ly] eliminated from 3 of their markets: Lee's Summit, MO; Branson, MO; and Bossier City, LA. I'm willing to bet that the other 3 markets that they serve are similar in nature. Look into the 32 minority dealerships that were closed and what Maxine Waters had to say. In one case, you will find the biggest minority dealer in the U.S. being bought up by Democrat donor Gillet out of Vail Colorado. Hat tip: Bob. Linked by: Ace o' Spades, Gateway Pundit, The Anchoress, Conservative Grapevine, Be John Galt, Bookworm Room, Memeorandum, NewsMax (Ken Timmerman), Protein Wisdom, Say Anything, American Digest, TigerHawk, Atlas, Pat Dollard, Prairie Pundit, The Real Revo, TCOT Report and Nice Deb. Thanks! Now they are taking over heath care and will decide who gets a new hip and who does not. They are now in control of banks and mortgages and college loans. The Democrat states got more of the stimulus money 2-1. If you are of the opposing party do you think you will get a fair shake? oh yea... I forgot they are taking over the census, and the heath care bill is taxing tanning beds. That sounds to me like we ate being taxed for being white. How many people of darker skin are paying that one? Apart from this were many other reasons which led to the shutdown of the dealerships. Interest rates hiked by financial institutions, stringent rules being followed while disbursing auto loans and most important the flow of money was paralyzed due to the depression in the economy. They are now in control of banks and mortgages and college loans. yeah! they got controlled by bank owners and mortgages. and this is very helpful.hope this will be continued. I don't think so. as they are just looking for the elections.they will never get them high enough.